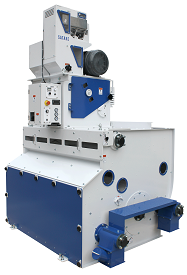 The use of vertical processing ensures even milling chamber pressures, efficient use of stones and screens and more even and consistent finished product quality. Read More.. 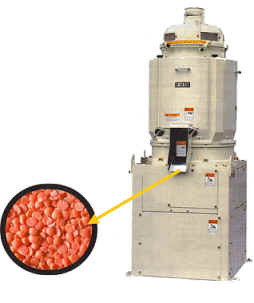 The vibratory feeder, proved in the color sorter, is introduced. It simultaneously provides smooth, consistent and high throughput. It is equipped with a feeder volume control which can vary the flow rate in a continuous linear manner. Read More..